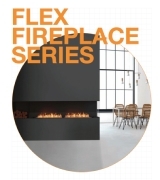 EcoSmart Fire's Electric Series provides builders, architects, designers and homeowners with a realistic flame solution that can be easilly installed in residential and commercial spaces at a fraction of the operating costs when compared to gas or wood fireplaces. Available in five different lengths ranging from 40" (1016mm) to 120" (3048mm), Electric's sleek, long lines and captivating smoke-free flame provides a stunning focal point that brings warmth and ambiance to indoor settings. Emits the same captivating, dancing flame - without the messy soot, smoke or ash. Cool to touch with heat on or off, it's also a safe option for residential living rooms and commercial spaces. An LED touch screen mountable to the wall provides a range of features that will allow you to adjust heat levels. Easy to setup with fingertip control - each model comes with a sleek remote control. 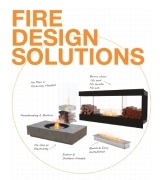 Choose from a ranging fire to ambiant backlighting by simply pressing a button. Adjustable heat settings for an enjoyable fire experience all year round, even in summer. 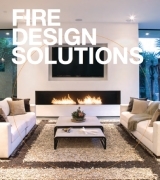 Electric fires offer the ambiance of a traditional fireplace without the costs associated with installing and operating one. Space saving designs ideal for condominiums, lofts, and apartments. Features the latest technology and realism for a stunning addition to the home. 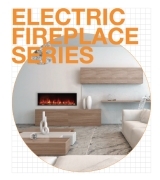 Our electric fireplace collection consumes the same energy as a light bulb. Our electric fires produce a lifelike dancing flame and a luxurious ambiance ideal for hotel guestrooms and amenity spaces. Orange or blue flames at the touch of a button for an enjoyable fire experience year-round. Cut down on costs without compromising the luxurious ambiance of an indoor fire in your guest rooms or amenity space. Instant ambiance and ultimate convenience helps elevate your guests' experience. Achieve a lifelike dancing flame and a luxurious ambiance ideal for hotel guest rooms and amenity spaces.